EM2260P01QI 60 A PowerSoC The Intel® Enpirion® EM2260P01QI step-down DC-DC switching converter with integrated inductor features digital control with PMBus™ V1.3 compliant interface. 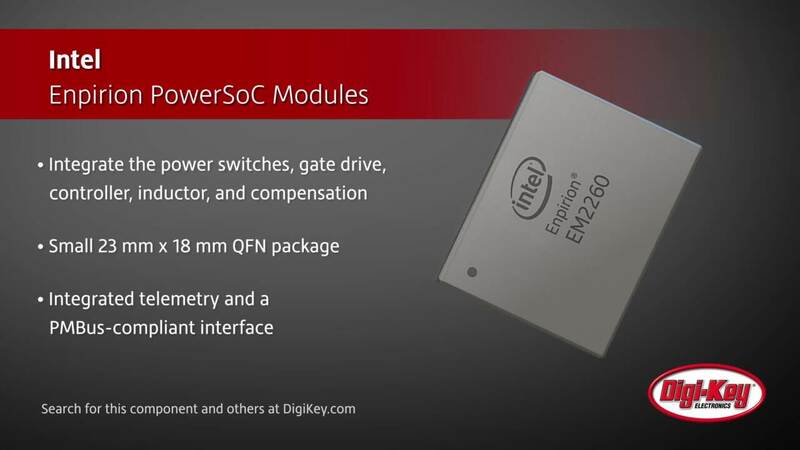 EM2280P01QI 80 A Digital PowerSoC The Intel® Enpirion® EM2280 integrates power switches, inductor, gate drive, controller, and compensation in a small 23 mm x 18 mm QFN package. 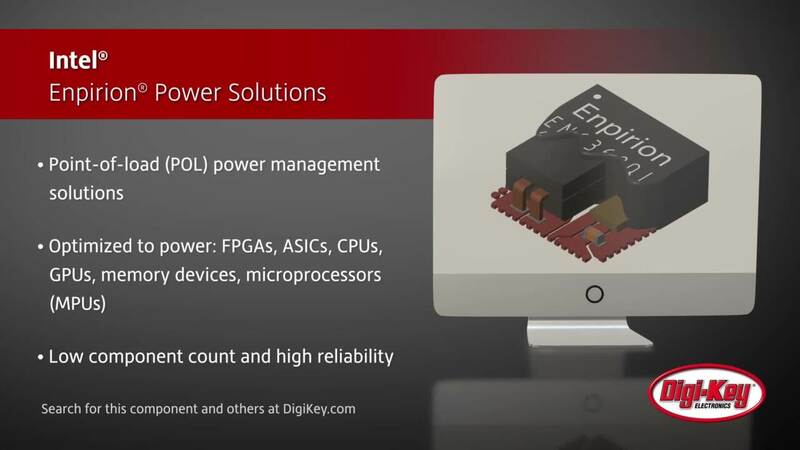 EM2260 and EM2280 Digital DC-DC Step-Down Converters with PMBus Simplify the complex task of building high-performance systems with the easy-to-use Intel® Enpirion® EM2260 and EM2280 PowerSoC modules.